Parents want to see their children excel in their endeavors, develop their talents, hone their skills, and improve and apply their knowledge. When children are well-rounded, they have a greater chance of growing up able to build positive relationships, make important contributions to society, and maintain opinions, beliefs and perspectives that help them make more informed decisions and better choices. However, it can be challenging for parents and teachers to effectively motivate and guide young ones through a fruitful learning processes when there are too many distractions that can take their attention and focus away from productive pursuits and learning opportunities. Video games, social media, TV programs, popular trends, mobile devices—all these (and more) can prevent a child from properly concentrating on essential tasks and demonstrating good judgment and decision-making abilities at school, at home, and in the general public. 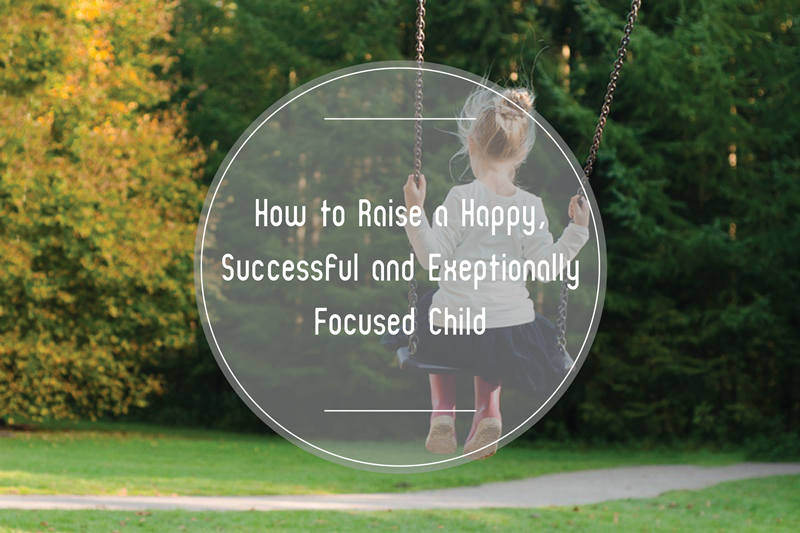 Most parents will not think there’s anything wrong with praising a child for being naturally and effortlessly smart, but this practice could be wreaking havoc on a child’s ability to focus and work toward a specific aim. When children maintain a fixed mindset that they have only a specific level of intelligence (which cannot be raised), they are not inspired to work harder and to welcome challenges that would help them rise above their perceived level. If a parent were to praise a child’s efforts to achieve a goal, on the other hand, a child learns that working harder can help them attain better results, and will thus be more focused on constantly improving themselves. Adults tend to do several things at the same time—talk on the phone, prepare breakfast, sift through mail, etc. Kids may mimic these actions, thinking that multitasking is the more efficient way of getting things done. On the contrary, multitasking causes you to pay little attention to each task, leading to poor quality results. Aiming to concentrate fully on each task at hand is the better strategy for getting things done. As parents, you should remember that children follow your speech and movements closely and believe that your way of doing things is the right way. Be mindful of practicing being more focused with your own tasks so that kids can see how much more beneficial it can be. Take every moment together as an opportunity to teach kids to pay more attention to things. Make up games that would have them searching for specific plants at the park or remembering names of people they’ve just met at a family reunion. Recruit them as your assistants in baking cookies and teach them to measure out ingredients and follow instructions accurately. Finally, nothing teaches a child to be focused more than cultivating a home environment that values and respects each member. When you eat dinner, watch a movie in the living room or get ready for school and work, take time to check on each other, tell each other stories, follow up on concerns or problems, and offer to help with projects or activities. Paying attention to each other’s needs and wants helps your child become more perceptive and responsive. Most parents will not think there’s anything wrong with praising a child for being Prohibiting multitasking is an excellent idea. I’ve observed children expecting so much of themselves. Using all their many senses, that are so much more aware and open, at once can be overwhelming. We must step in and limit their input, teaching them that having all these new abilities is good and how to discern what ones to have open and what ones to have closed -to learn the art of focusing on as much as they can integrate and work with in any moment. Encouraging them to live in their hearts helps as the heart is much more aware and never gets ahead or behind itself, confused or overwhelmed. We need to accept they have more abilities than we do and to learn to develop them as they are able otherwise they can expect to be good at all of them at once, as the world is in urgent need of so much change. This need in itself calls them to expect so much of themselves, and doing so can quickly exceed their limits. However when it continues I find “If a parent were to praise a child’s efforts to achieve a goal, on the other hand, a child learns that working harder can help them attain better results, and will thus be more focused on constantly improving themselves.” does not quality the earlier lead in that suggests we can over-encourage children to expect too much of themselves. My story at: http://www.unityconscious.org/sharing-energisers-and-harmonisers/ explains just such a case with a 6 year old.